This beautiful traditional cutter rigged Rossiter Curlew has been in the same ownership for over 30 years. It has been sailed extensively, lovingly cared for and is now going on the market due to the owners retiring from sailing. With it’s traditional long keel, heavy displacement and cutter rig offering good performance and seaworthiness, this Rossiter design & build Curlew has a beautiful and classic look. The wide and uncluttered decks are easy to move around and give plenty of space for sunbathing / relaxing. The deep, self draining cockpit feels safe and has all the controls within easy reach. Down below the white enamel finish combined with solid mahogany gives an almost stately feel and is light, dry and airy throughout, offering comfort and style. There are berths for five and plenty of storage too. The Blake’s sea toilet has an electrical macerator and holding tank for when needed, the navigation table is well equipped and has the benefit of a Yeoman chart plotter for those who still enjoy using charts. The neat and tidy galley has integrated storage and a Taylor’s paraffin cooker. 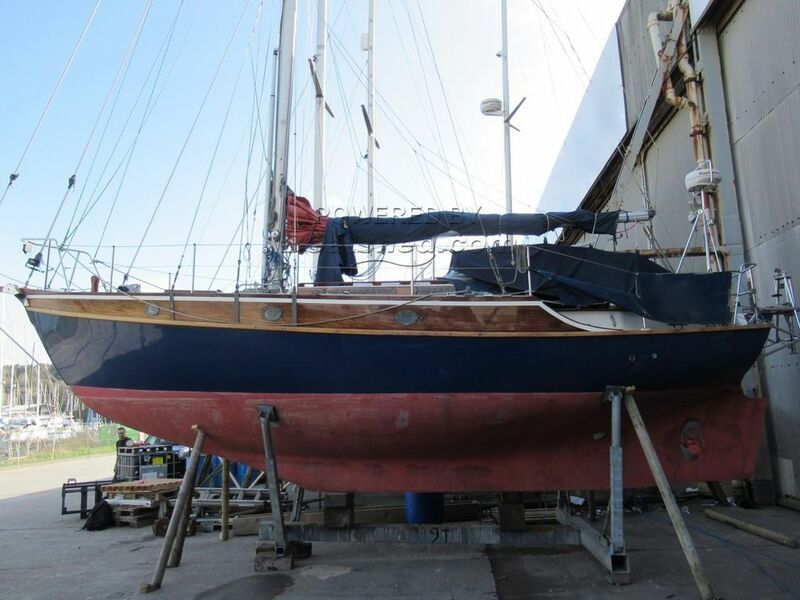 Annually serviced and winterised ashore, this vessel is well worth your consideration. This Rossiter Yachts Curlew Cutter has been personally photographed and viewed by Billy & Jo Hallam of Boatshed Plymouth. Click here for contact details.